Visual Studio Code>Programming Languages>MagmaNew to Visual Studio Code? Get it now. This extension adds language support for the Magma computational algebra system to Visual Studio Code. Its main features can be seen below. Read the CHANGELOG to know what has changed over the last version of this extension. 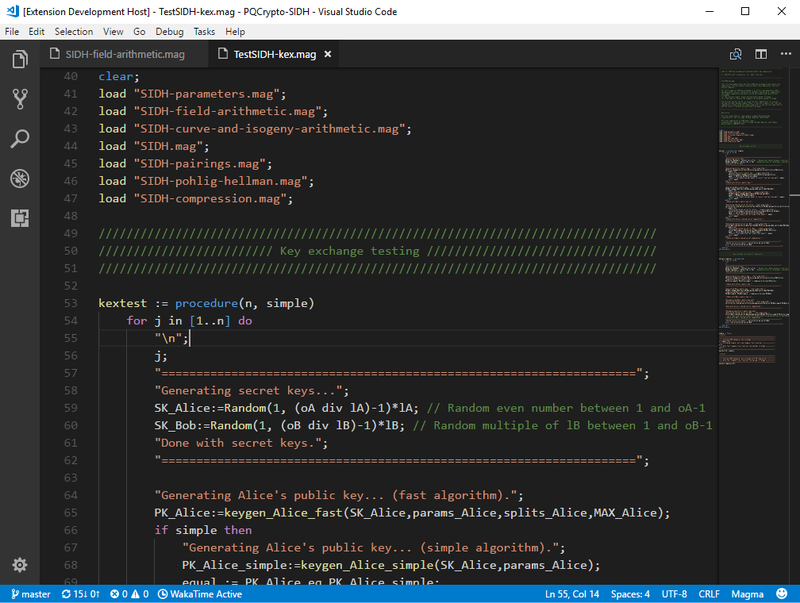 To install the extension from Visual Studio Code, hit Ctrl+P and enter the ext install magma command, or use the extension panel and search for magma. VSCODE-MAGMA is licensed under the MIT License; see LICENSE for details. We respect the rights to privacy and anonymity for contributors and people in the community. If someone wishes to contribute under a pseudonym different to their primary identity, that wish is to be respected by all contributors. If you have questions or comments, please feel free to email the author. For feature requests, suggestions, and bug reports, please open an issue on this Github repository (or, send an email to the author). Patches are also welcomed as pull requests on this GitHub repository, as well as by email.